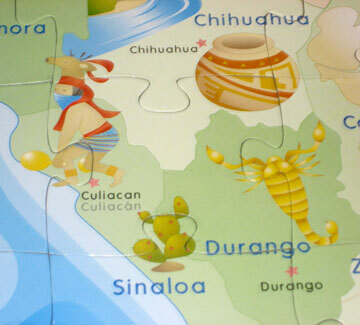 Children will love to play with this colorful & informative puzzle while learning about Mexico. Parents & grandparents can use the bilingual puzzle to teach children about their heritage. 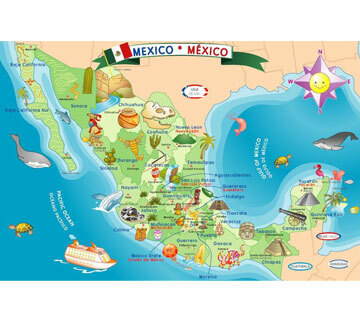 Includes colorful illustrations of all 32 Mexican states & regional specialties. Learn the capital city & state names in English & Spanish.